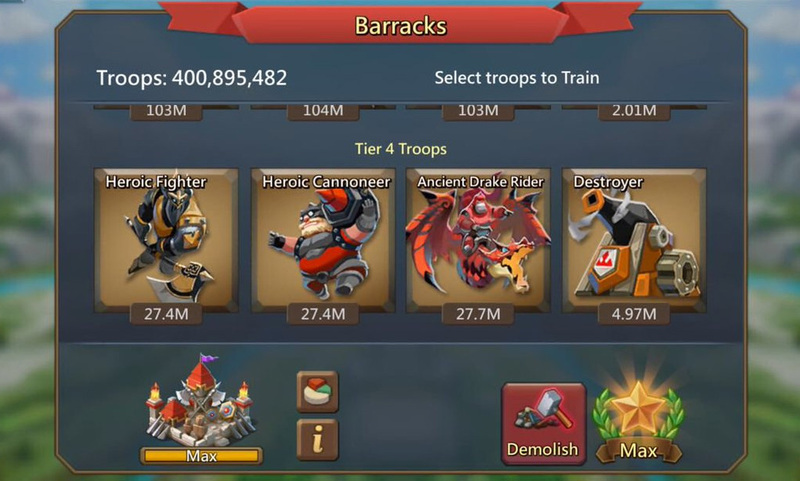 Tier 4 Troops is the most powerful army in Lords Mobile. To unlock them, you will not only need to invest plenty of time and resources but also use the most efficient Research and Construction methods. This guide (written by LordDraxos on LM official forum) will help you understand different perspectives of Research and Construction and why some people prefer different research and construction styles, and at the end, you will be able to choose one that benefits you the best. Please note that the Guide is the most optimal way to get T4 troops, although you may use these concepts for your own goal as well. Here we are with one of the most important aspects of our favorite game Lords Mobile, Construction and Research. This guide will consist of 2 parts, obviously being Research then Construction. This guide will help you understand different perspectives of Research and Construction and why some people prefer different research and construction styles, and at the end， you will be able to choose one that benefits you the best. Now I want to make clear, this Guide is the most optimal way to get T4 troops, although you may use these concepts for your own goal as well. What research do I do first? Research is a very subjective topic and can be viewed in many ways. Lots of people were taught by guild members that they should go ALL MONSTER HUNTING, some say "GO FOR MILITARY AND ECONOMY ONLY", and the list can go on. But lots of us don't really understand the topic and only do as we are told. So here's my explanation of everything. There are categories for people in Lords Mobile unfortunately and these categories consist of P2P (Pay to play) and F2P (Free To Play) players. For the most part, people can be a fully F2P player, a fully P2P player, and/or in the middle of both, which I just classify as a CS (Casual Spender). Unfortunately this part of the game really matters and can slow down or speed up the process of getting T4 troops, which is almost everyone's goal. Another thing that greatly effects the process of Research is YOUR GUILD. If you're in an inactive guild, or a guild made up of mostly F2P players then you'll be stuck in a bottle neck for a long time, especially if you're an F2P player yourself. But if you're in a very active guild that has LOTS of P2P players, then really you will progress smoothly whether you're P2P or F2P. The last thing is your Coliseum Rank, if you're in the top 50 in the Coliseum and you're making a good amount of gems, you are also in a good position. Now that we have the facts out of the way, here's the most optimal Research direction you should go in according to your categories. Now if you're on the VERY RIGHT side of this scale, then you're generally in a good position. You are able to provide for yourself because of the amount of gems that you rack up, the speedups that you get with your packs, and the resources that come with the packs. With that being said, if you're a P2P player your path shall follow the MILITARY AND ECONOMY DIRECTION. This is just because you'll be having a steady income of gems, resources, and speedups and so T4 shouldn't be a problem. Research speed has many factors. Things like gear, talents, and heroes. Here is my CURRENT Research Gear that I'm using. 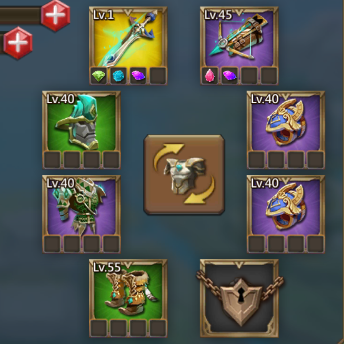 I'm only a CS player and so I'm using F2P gear. But if you're a P2P player, your gear is generally the same. Just change Electric Lance to Champions Edge. Now for Heroes, the only heroes there are for Research speed is: Trickster (F2P, 25%), and Dark Follower (P2P, 25%). I have both, but my Dark Follower is silver so I use my blue Trickster. Talents, are generally easy. Just max both Research I and II.